Toddlers are a tricky bunch. One minute they are sweet as pie and the next they’re off doing something that makes your hair stand up on end. 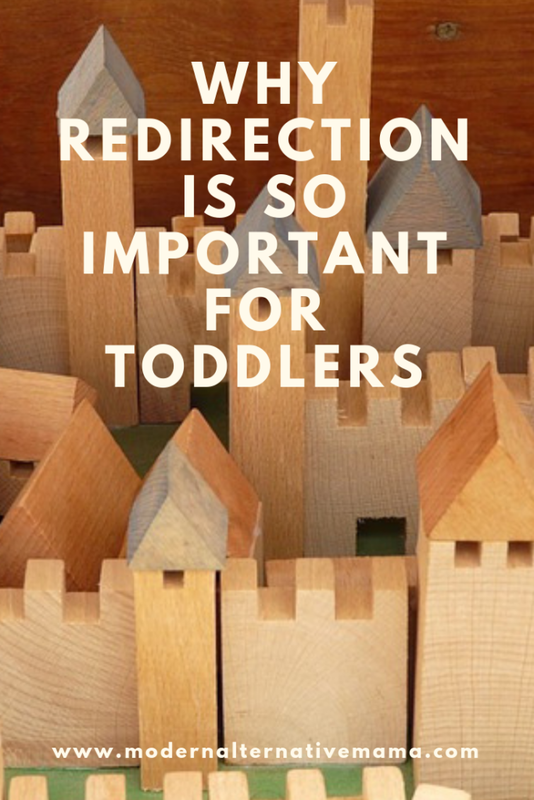 The skill of redirection is an imprtant parenting skill to learn, especially when it comes to toddlers. 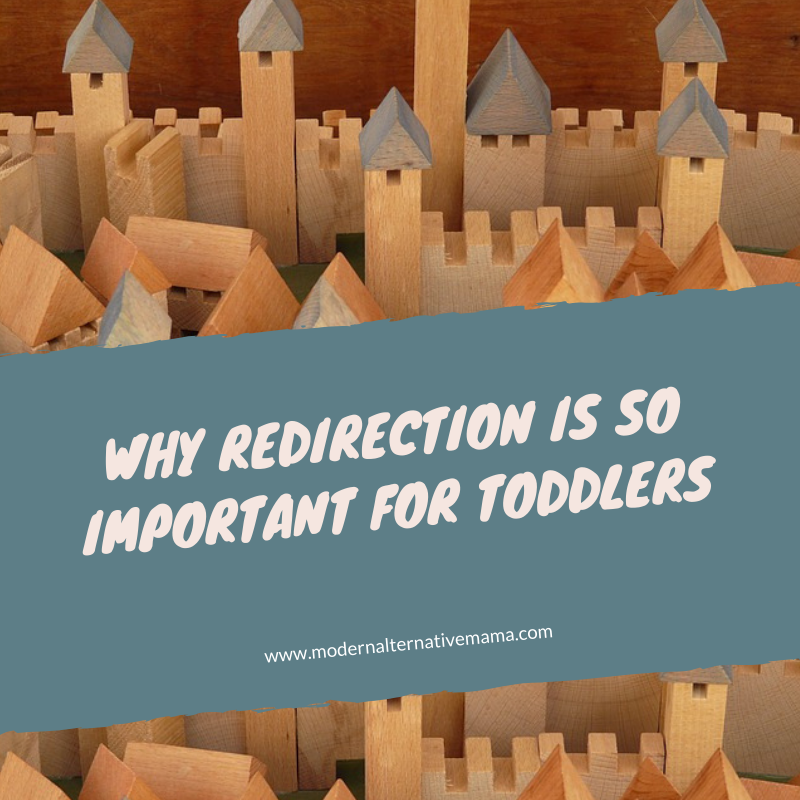 Redirecting them to more constructive endeavors is more effective than using punishment to change what they are doing, but why is redirection so important for toddlers and how do you do it anyway? But these methods of punishment do nothing to actually teach the toddler that what they are doing is either unsafe or wrong. A toddler doesn’t have the mental maturity or capacity to understand punishment. The ability to reason doesn’t develop until the child is 5 or sometimes older. All they see is that their parent or caregiver is being mean to them or harming them. This can make a toddler become untrusting of the parent or caregiver. It can also make the toddler want to do more of the undesirable behavior in order to get more attention from the parent or caregiver. Children crave attention and when positive attention is not happening, they may resort to negative attention to fill that need. A toddler’s brain isn’t wired to know bad deed from good. They are simply in exploration mode – all the time! They are learning about their world by exploring the things around them. Sometimes that means that they want to go into the cupboard to see how it opens and discover what’s inside. Or they would like to learn about how the big people in the house get the soap out of the soap dispenser so they crawl up onto the counter to get to the soap to figure it out. While these activities are annoying and dangerous the toddler isn’t doing them to “be bad”. How do you learn how to do new things? By doing them. Toddlers are the same way! It’s our job as parents and caregivers to redirect that learning into more constructive endeavors. The first step is to create a safe environment for your toddler to explore as they wish without dangerous things in their path, that way there will be fewer times that you need to help to redirect them. Safe spaces, baby proofing and child-friendly versions of adult toys are handy tools! Let’s pretend your toddler has gotten into your shoe closet and is trying on all of the shoes. You, as the parent, don’t like this because your toddler has made a big mess and has gotten into a closet you’d rather they hadn’t. Old-school thinkers would likely abruptly scoop the child up and sit them on the stairs and make them remain there while the parent cleaned up and would tell the child not to do it again. The child would likely cry because the parent ruined their exploration. Imagine your toddler has never pet a dog before and they’re at a friend’s house who has a dog. Your toddler doesn’t know how to treat dogs and hits the dog when it gets too close! Old-School Thinkers would likely give that child’s hand a smack and firmly tell the child “NO!” among other things. It is much more beneficial to model the desired behavior for the toddler instead of using punishment. They have never been in close contact with a dog before and have no idea how this whole dog thing works, but you do! So sit down beside the dog and give it a nice gentle pet on the head. Then take your toddler’s hand and guide them to pet the dog gently. You can even ask the dog if it’s alright after that blow from the child. This will show the child to show empathy even for animals, as well as teaching them how to be gentle with them. Sometimes there are circumstances where you just can’t find a way to redirect your toddler’s behavior. When hunger or sleepiness is at play then even the best redirection methods can fail. In these circumstances sometimes the child needs to be removed from the scenario. Old-School Thinkers would send the toddler away to sit in time-out alone to “think about what they’ve done”. Since toddlers lack the ability to reason they actually have no idea why they are being made to sit in one spot. An alternative to this is to sit with the child for a time-in. Sit with your child beside you or on your lap and talk to your child about what was going on. Let them have a good cry and explain what better behavior looks like. Once the child has calmed down and had a minute to step away from the situation they will be able to return to playing in a more desirable way. It can be hard to change your mindset about managing undesirable behaviors especially when you weren’t parented gently yourself. Do you struggle with toddler behavior? How do you use redirection to change undesirable behavior?